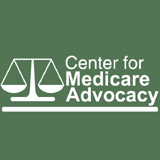 CMA Responds to the NY Times: Don’t Privatize Medicare! Your December 4, 2011 editorial (”What About Premium Support?” ) about changing Medicare into a voucher system wisely states many of the problems with public subsidies of private health insurance for Medicare beneficiaries. All such experiments have cost more and provided less value to those in need of coverage. I have been an advocate for Medicare beneficiaries for almost 35 years. I’ve seen numerous forays into privatizing Medicare. Clinton-era plans, Medicare Plus Choice, Medicare Advantage: none of them have provided better coverage more cost-effectively than the traditional Medicare program. I don’t recommend a private plan to my mother. That should be a good test for anyone championing premium support. Additionally, ever-increasing private options have made Medicare too complex, especially given the very limited number of advocates available to help beneficiaries understand, choose and navigate the system. Call it what you will, ”premium support” is the latest jingle for privatizing Medicare. It’s not a new or creative idea, and it will only add more costs and confusion. What we need is an objective look at what’s needed to encourage participation and cost efficiencies in traditional Medicare, not further adventures in privatization. Entry filed under: Access to Health Care, Deficit Reduction, Fiscal Responsibility, Health Care Reform, Medicare, Medicare Reform, Premium Support, Public vs. Private Health Coverage, Vouchers. Tags: Fact and Fiction, Health Care Reform, Medicare Reform, Premium Support, Private Plans, voucher.